When spring came, Saturdays became family yard work and gardening days at Casa de la Breen. As a child, I HATED them. I had the worst attitude. I would endlessly complain and whine. If all else failed, I’d say I needed to go to the bathroom. I proceeded to grab a stack of library books, climb in the tub, and sit reading till my dutiful presence was noticed missing. I refused to see the need to work together as a family and get the job done. I refused to hear the importance of being a contributing member of the family, even if it was something as little as pulling weeds on the driveway. Verse 13 is a punch line in the Gospel passage, like a heavenly sucker punch from the Holy Spirit! Jesus sums up the reason why He now teaches in parables. Many people in Israel refuse to receive His message: they look but do not see and hear but do not listen or understand. (Matthew 13:13) It is not merely enough to see and hear Christ’s words physically. One must follow Him, live like Him. Many people saw the healing miracles of Jesus and heard His words of teaching, but still walked away or refused to follow Him. Why? Because what Jesus Christ calls us to is not always easy, fun, convenient, or makes much sense. 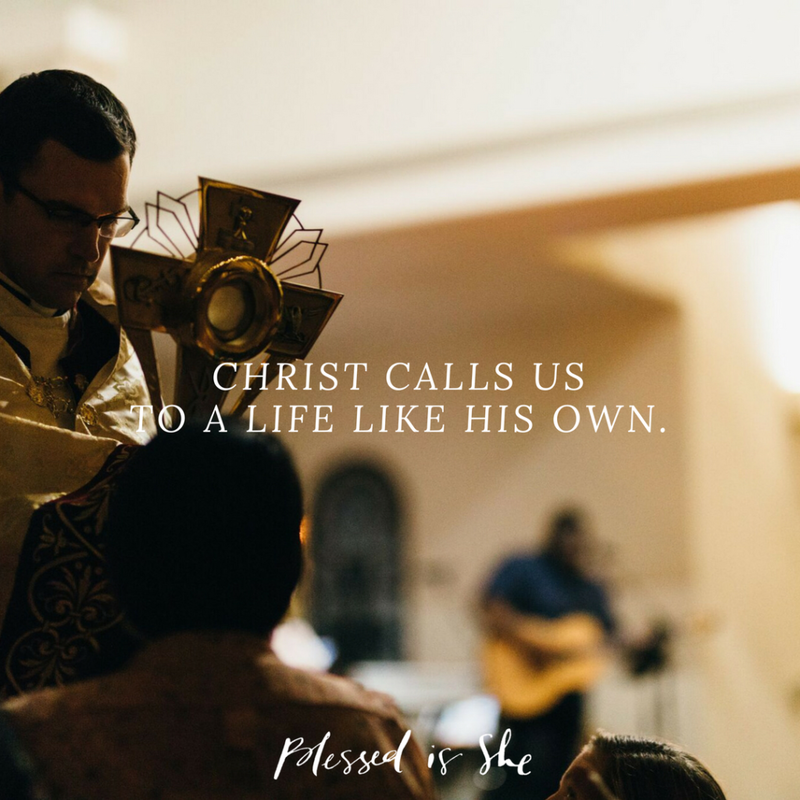 Christ calls us to a life like His own; the way of humility, mercy, and obedience. See and hear are key words in this section that can hold a lot of meaning for each of our lives. I know sometimes in my life it is easy to only see and hear the things I think are important when it comes to living as a disciple of Jesus. But sisters, we cannot pick and choose what we like or don’t like when it comes to living our faith or following the truths of the Church. Picking and choosing means that we are leaving something else out, something that also matters when it comes to following Jesus in 2017. Are there things you choose to see and hear when it comes to following Jesus or living the Catholic faith? Just be honest with yourself. Be open to learn and understand with what you are wrestling with, leaving shame behind.